Since the first time I saw a grey crowned crane at a zoo somewhere in South America I have become infatuated with them. The bird just seems so awkward, but yet at the same time rock the hell out of that mohawk. Is there a bird on the planet that is more fashionable? 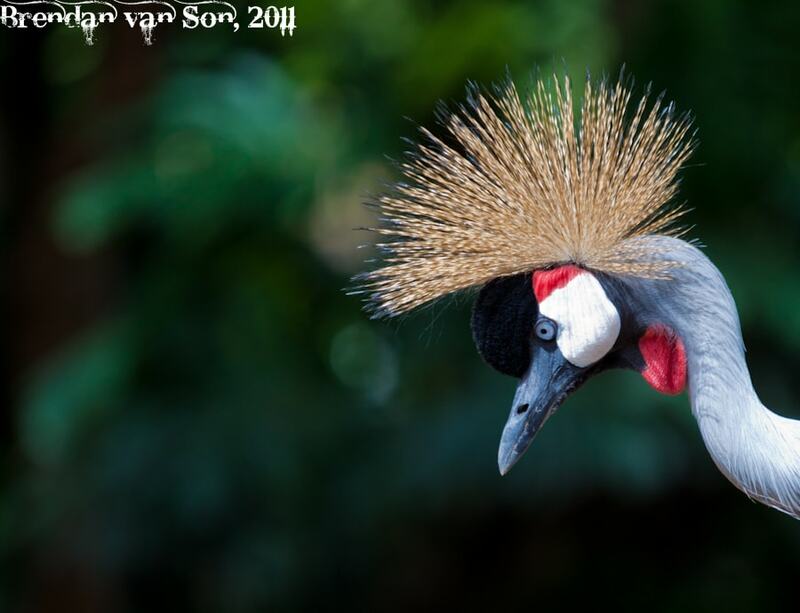 Sure, penguins cruise around in tuxedos like James Bond and toucans have the colours thing going for them, but is there a bird on the planet that can pull off the “afro meets mohawk” look better than the grey crowned crane? I think not. Since my camera is basically trashed (the new one should be here soon yay!) I have basically become an auto photographer with an expensive lens. It is embarrassing taking photos on auto, but at least I can shoot that way. I took the photo of the grey crowned crane with my 70-200mm lens maxed out at 200mm. The lighting could have been better but I’m happy with the results. When taking shots like this try and use the same rules you would apply to photographing people. Focus for the eye and put the subject somewhere in the two-thirds region of the photo. The grey crowned crane was a great subject, and I have plenty more where this shot came from. Previous ArticleHow did Travel Become my Career?